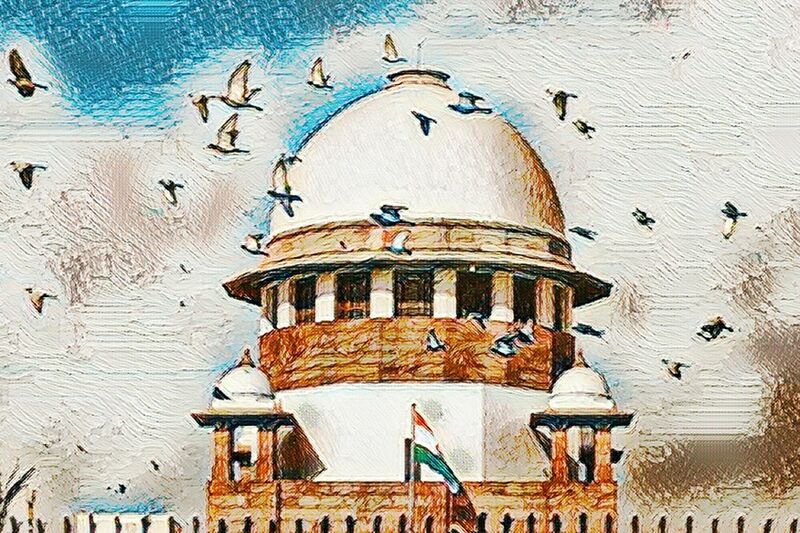 New Delhi: The Supreme Court on Wednesday sought a response from the Uttar Pradesh government on a plea seeking a court-monitored CBI or SIT probe into the recent incidents of alleged police encounters and killings in the state. A bench headed by Chief Justice Dipak Misra, which did not issue a formal notice to the state government on the PIL of NGO People's Union for Civil Liberty (PUCL), asked it to serve the copy of the petition on Additional Advocate General of the state, who, in turn, will file the reply within two weeks. "Let a copy of this petition be served on Aishwarya Bhati, Additional Advocate General for state of Uttar Pradesh. List after three weeks. The counsel for the state shall file response within two weeks," the bench, also comprising Justices A M Khanwilkar and D Y Chandrachud, said. The bench did not agree with the submission of lawyer Sanjay Parikh, appearing for PUCL, that a notice be also issued to National Human Rights Commission (NHRC) as it had already taken note of alleged statements of Chief Minister Yogi Adityanath on the encounters in the state. The lawyer alleged that about 1,100 encounters have taken place in the last year in which 49 people were killed and 370 others injured. The NGO, in its plea, has referred to news reports quoting the Chief Minister, his deputy Keshav Prasad Maurya and Anand Kumar, ADJ Law and Order, justifying the encounter killings of criminals in the state. It has sought a probe into the encounters by an independent agency, that is "Central Bureau of Investigation or a Special Investigation Team comprising of police officers of integrity and who have not served in the state of Uttar Pradesh." "Direct that investigation be monitored by this Hon'ble Court or by a monitoring committee headed by a retired Supreme Court judge. The monitoring committee should also inquire into the role played by all authorities/persons who directly/indirectly supported the encounter killings by abdicating their legal duties/responsibilities," the plea said, adding that the families of those killed or injured be granted compensation. "By this petition, the petitioner is bringing to the notice of this court incidents of massive administrative liquidations taking place in the state of Uttar Pradesh in blatant violation of the rule of law, legal and constitutional protection available to the citizens, in particular, regarding life under Article 21 of the Constitution. "Facts available in public domain state that over 1100 encounters have taken place in the past year, wherein 49 people were killed and 370 were injured," the plea said. Quoting the figure provided by the state to the NHRC, it said that 45 persons have died between January 1, 2017 till March 31 this year. It referred to the binding guidelines laid down by the apex court in a judgement delivered on one of the PILs filed by PUCL and said "each such encounter is required to be investigated on the basis of FIR, followed by a Magisterial Inquiry and thereafter, a criminal trial in accordance with law". The Chief Minister had on November 19, 2017 said that "criminals will be jailed or killed in encounters", the plea submitted. This statement of the Chief Minister was taken cognizance of by the NHRC, it claimed. The plea also quoted the observation of the NHRC which had said that it seemed that "the police personnel in the state of Uttar Pradesh are feeling free, misusing their power in the light of an undeclared endorsement given by the higher ups....". "In the present case, the law enforcement machinery has endorsed the acts of police encounters, no fair probe can be expected from them. In the circumstances, it is necessary that the investigation should be handed over to the CBI to be monitored by this Court, in addition to a committee headed by a retired Supreme Court judge to inquire into the role played by the state machinery in the act of commission of police encounters," it said.